Pantheon – These are the best, all-timers on the list. Even as the game and courses improve, these will stand the test of time. Tier 3 – An achievement in either visual design, technical design, or course strategy, and at least above average in all 3 combined. Courses here are among the best around, but just short of pantheon. Tier 2 – Very strong in one of either visual design, technical design, or course design, but just average in one or two of these categories. Overall very good courses that will appeal to a large number of players, and worthy of multiple plays. Tier 1 – These courses may have just one or two shortcomings holding them back from being great, but are memorable designs nonetheless that should find wide audiences. 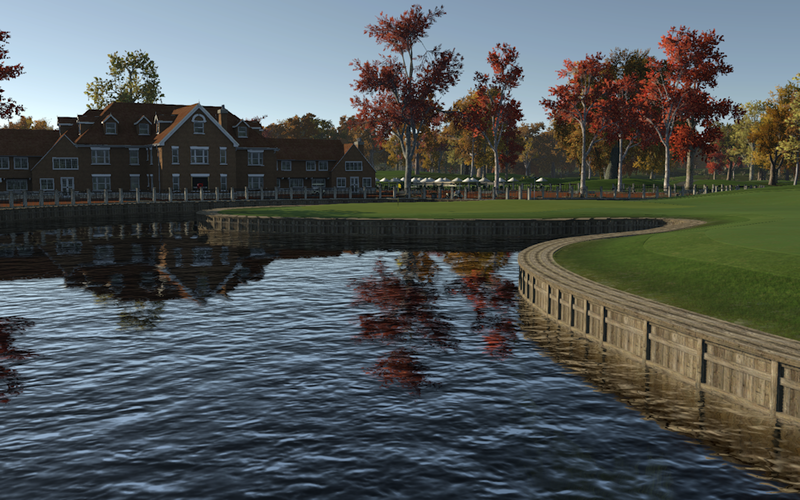 Play Worthy – Courses that do not stand out from the crowd enough to reach the pyramid, but are worthy of at least one play and should provide an enjoyable round in TGC2 for the majority of players. No Ranking – I will never encourage anyone to not play a course, but any courses that I don’t believe reach Play Worthy status will end up here. I honestly don’t expect to even play that many courses that will end up here. I’ve put some thought into these categories, but I haven’t broken them down scientifically or anything like that, so if I break my own rules or assign rankings that make no sense, it’s more likely because I’m an idiot than because I have an agenda, so please keep that in mind. Lastly, please feel free to leave a play request in the comments at any time, but note I will try very hard to distribute my plays among as many different creators as possible. So if you release a course every 2 weeks, the chances of me playing more than one of your courses in a short amount of time is very slim. In other words, give me your best courses, not all of them! Also keep in mind that I will not keep a public list of courses that I will be playing, because more than anything, I don’t want anyone holding me to that list. First set of reviews is below. Looks like everyone is still working out the screenshot process, so limited on pics at the moment. New environmental settings really bring out the beauty of this course, and the small greens play more fairly on approach, while tougher to putt on. Should rank highly for the life of TGC2. Beautifully crafted. Twisting holes make for interesting play (esp. without landing zone cam), and plenty of options from tee to green. Greens are generous, but with some difficult pin locations. Great start to the TGC2 library. Wonderful rendition of a parkland style course. Every bunker is placed and shaped perfectly to frame each hole. The sight lines across the property highlight the terrific routing, which recalls the work of golden age architects on smaller plots of land. A great intro to TGC2. Wide driving areas are generous, but small greens make accuracy important. Small details are everywhere on the course, with immaculate sculpting. A fun course with lots of elevation change to make calculating drives difficult. Plenty of putts can be made, though, if you navigate safely to the green. Features a massive, wonderfully built waterfall. Hey! Craig…. Great news you’re back doing these & I would appreciate your judgement & feedback on just the 2 legacy courses I’ve decided to import. If you could check out “Dovetail Park (Remastered) first & then, as per your instructions. add Topaz Lagoon at a later date I would be most grateful. Simon, I’ll definitely be playing one, if not both courses. I see Topaz coming up in one of my societies, so I might play that by default, schedule permitting. Dovetail is on my initial list, though. Cheers Craig – look forward to those… Heads up Dovetail Park now available to play as “Tour Version” – Ironed out 2 or 3 suspect pins & took the opportunity to add a tonne of additional planting to the plot. Would be grateful if you reviewed that particular version… Thanks in advance. Craig I would love to see how you review Devon Quarry. With so many courses flooding the game thought I would drop this course name. It’s a gem in my opinion, interested in seeing how you would rate it.